HUMMELSTOWN, PA. – September 10, 2018 – TRACT Optics has announced a one-day warehouse sales event taking place on September 22, 2018 from 9 a.m. to 4 p.m. ET. 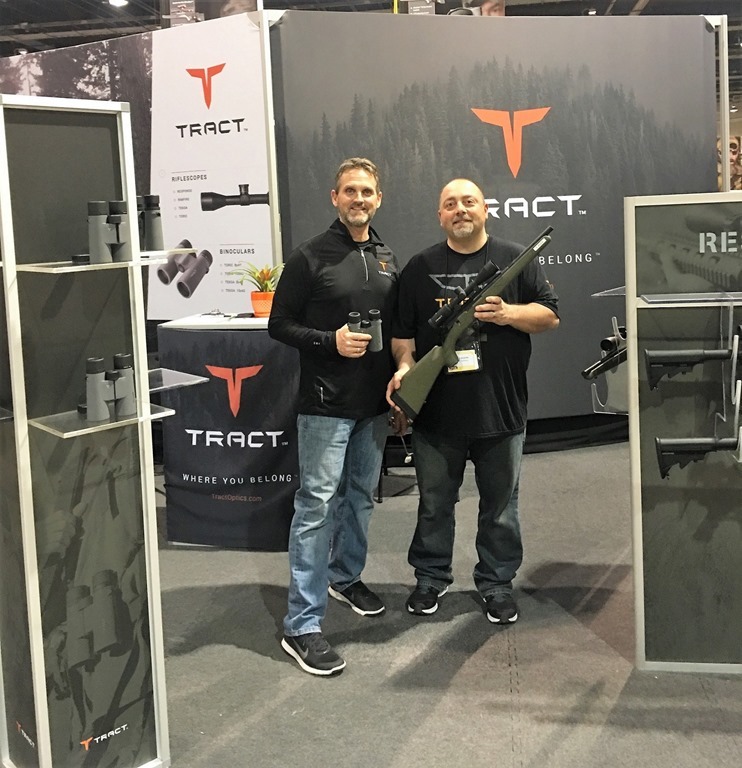 The sale will be held at the TRACT Optics headquarters at 119 North Duke Street, Hummelstown, PA., and will give customers an opportunity to receive exclusive savings on top-rated optics, raffles and prizes, and expert in-person advice from co-founders Jon Allen and Jon LaCorte. Additional vendors attending the warehouse sales event will include Wasp Archery, Montana Decoy and Baron Outdoor Luggage. More information about the sale can be obtained by contacting TRACT Optics directly at 844-747-4928, support@tractoptics.comor online chat. The full TRACT product line is available at tractoptics.com. The website offers users and optics enthusiasts a comprehensive educational resource with blogs, videos and social media connections. Specific questions or inquiries can also be answered by calling 844-747-4928. TRACT Optics is an advanced brand and product line built 100% for the needs of today’s hunters and shooters. The company was born from decades of optics industry experience and has grown into a consumer-direct brand that offers the best quality, value and overall product support. TRACT offers a full line of binoculars and riflescopes for all disciplines of hunting and shooting. More information is available on the complete lineup at tractoptics.com. This entry was posted in Promotions and tagged Sale, TRACT Optics. Bookmark the permalink.